7:05 EDT / Dunkin' Donuts Park / Hartford, Ct.
Preamble: Dabbles here, bored, scared, lonely. No Jays game tonight after starting the season with a respectable 4-3 homestand. 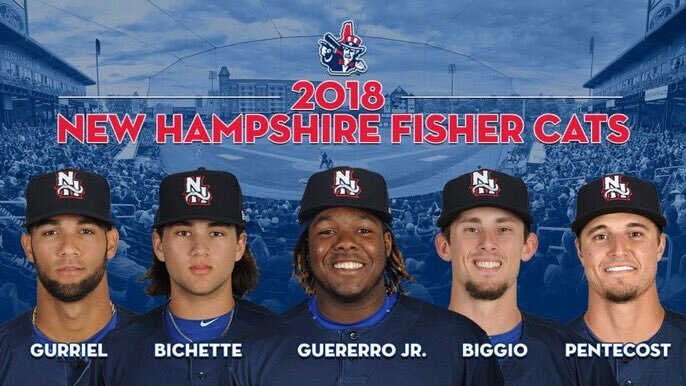 Luckily, on this glorious of off-days, The Blue Jays AA affiliate The New Hampshire Fishercats are opening the season. Why is this important you may ask? Well because the second coming of Troy Glaus (Vladimir Guererro Jr.) and his sidekick Bob (Bo Bichette) are taking the field for the first time this year and they are surrounded by a solid group of high ranking Jays prospects (Gurriel, Biggio and Pentecost among them). Although I can assure you we wont be having a game treat for every minor league game, I will closely keep tabs on our sprightly young bucks and maybe do a weekly recap of the farm system if time permits. Of Note: Okay I was just joking about Troy Glaus, but I think we can all agree he was great that one year. I like to think of Vladimir as more of a Barry Bonds type player (I am taking a shot at this "optimism" thing you guys keep going on about). Last year Bo Bichette led the minors in batting average at .362 and was the MVP of Midwestern League. He is the Blue Jays 2nd ranked prospect and a top 15 prospect in all of baseball. Not only is he a great baseball player but he has nice hair! Vlad finished last year with a .323 batting average, 13 home runs and 76 RBI in 119 games. He was named ESPN's prospect of the year and is in the top 3 prospects in all of baseball on everyone's list. Look for these 2 to continue to terrorize the minors and be called up in August or September to contribute to the Blue Jays world series championship this year (optimism feels weird...my feet are tingling and my vision is blurred). Here is a clip of Vlad's epic walk off HR in Montreal last week. 1. 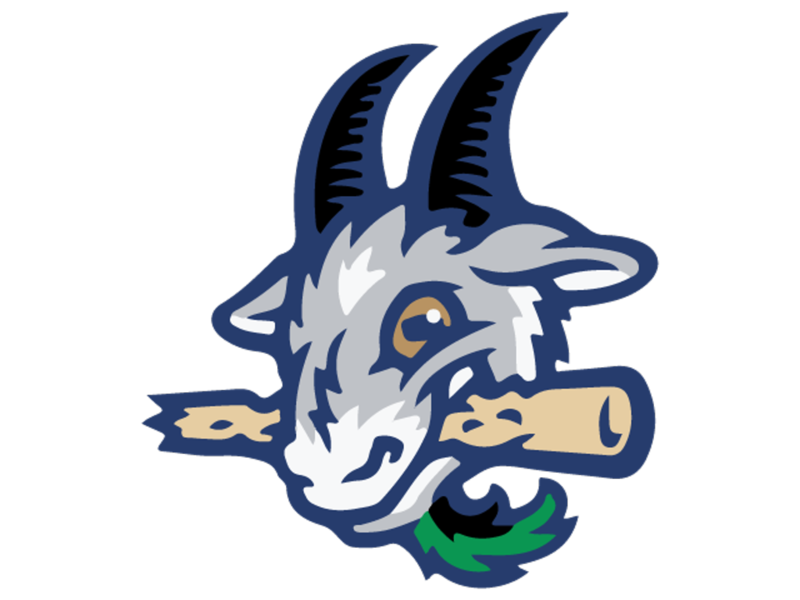 I am too lazy to find out the first names for all the guys on the Yard Goats but we can guess. My guess is that Rabago's first name is Cabbage. 2. I am too lazy to find out what side the batters bat from. 3. I thought Pentecost was in AA but I guess Cantwell is the #1 catcher there, or at the very least he is starting today. 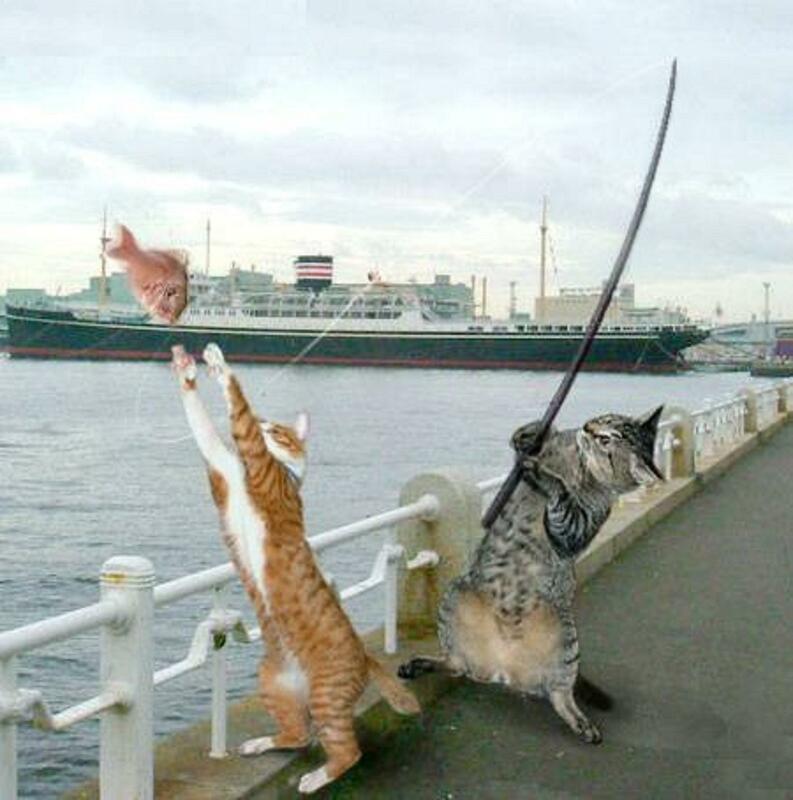 Finally, these are not fishercats. This is your game treat "September call ups" edition.